Good. 0792275381 THE DUST JACKET IS TORN. Very good. Great Condition Some slight wear to the cover. Very Good. 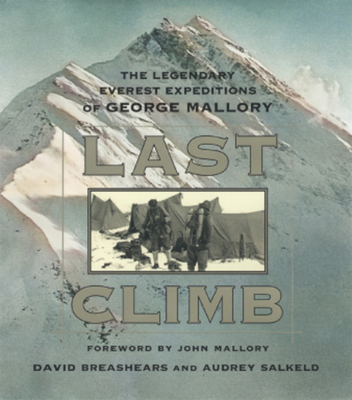 Describes Mallory's final expedition to Mount Everest in 1924, the mystery surrounding his disappearance, and the discovery of his remains in 1999. Sewn binding. Cloth over boards. With dust jacket. 239 p. Contains: Illustrations. Good. Describes Mallory's final expedition to Mount Everest in 1924, the mystery surrounding his disappearance, and the discovery of his remains in 1999. Sewn binding. Cloth over boards. With dust jacket. 239 p. Contains: Illustrations. Fine in Fine jacket. 239 pages, illustrated (some colour).